Kylie Jenner is looking fabulous while she is pregnant and the Kardashian clan noticed this. It seems that Kim Kardashian is reportedly a bit jealous. ‘Kim is slightly jealous of Kylie looking fabulous while pregnant. However, seeing Kylie pregnant also reminds Kim of how hard it is and how gross she felt daily. Kim’s pregnancies were tough on her body, and she often felt disgusting and horrible. Kim remembers the weight gain and feeling gross a lot of the time, but she can’t help feeling a little bit jealous of seeing the growing baby in Kylie’s tummy,’ according to a source. ‘There is nothing like having your baby growing in your stomach. 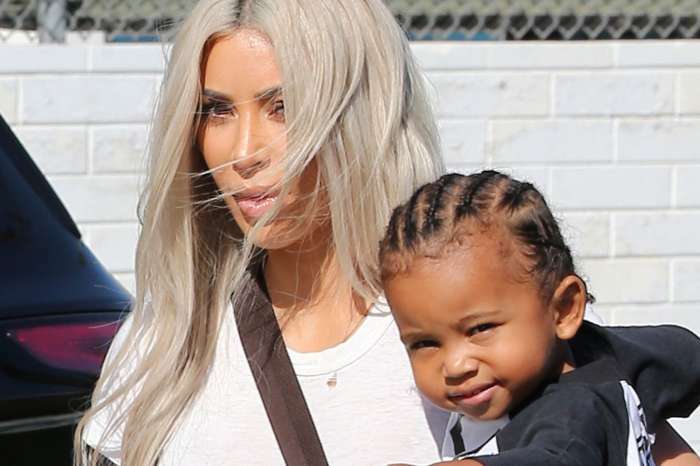 But as soon as Kim feels envious of Kylie and her beautiful pregnancy body, Kim quickly remembers the health challenges she had while pregnant and she is glad she is not carrying this time around,’ the same insider confessed. Kylie has been hiding her body ever since the news of her pregnancy surfaced. But it seems that she is still looking as gorgeous as ever. She looks great even if she has been trying to hide her baby bump under oversized men’s shirts and giant jackets. No one can blame Kim in this situation. It must be pretty hard to see Kylie looking amazing while she is pregnant (Kim gained a lot of weight while she was pregnant herself) and to see her carrying her own child. As you know, Kim was not able to carry her own child this time, and that’s why a surrogate mother is doing this instead of her. It’s only natural for Kim to become ‘slightly jealous’ of Kylie. Hopefully, over time, Kim will become less jealous and embrace Kylie’s pregnancy because, after all, they are sisters. Anyway, we just love seeing the Kardashian/Jenner sisters getting along with each other and not competing with one another.